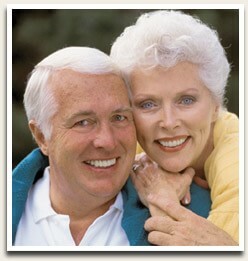 Dental implants are the ideal way to replace lost teeth. From the front of the mouth, where they are most visible, to the back, where they provide stability to chew a full variety of foods, implants can help you recapture a beautiful and healthy smile. Unlike bridges or removable dentures, which sit on top of the gums, dental implants are placed under the gums. The “tooth” placed on an implant appears life-like, because it comes through the gums just like the original did – it’s like growing a new tooth! Implants can be used to replace any number of lost teeth. Even people with no teeth can benefit from implants, because they can replace their dentures with teeth that don’t move around when they talk, and don’t need to be taken out at night. Because we handle the entire process from implant placement to crown fabrication, there’s no need to be referred to another office. Call for a no-obligation implant consultation today.